East End Park has a mythical quality about it. Where was it? When was it? Are you sure that it was in Memphis? Was there a roller coaster, or are we confusing that with the Zippin Pippin at Liberty Land? 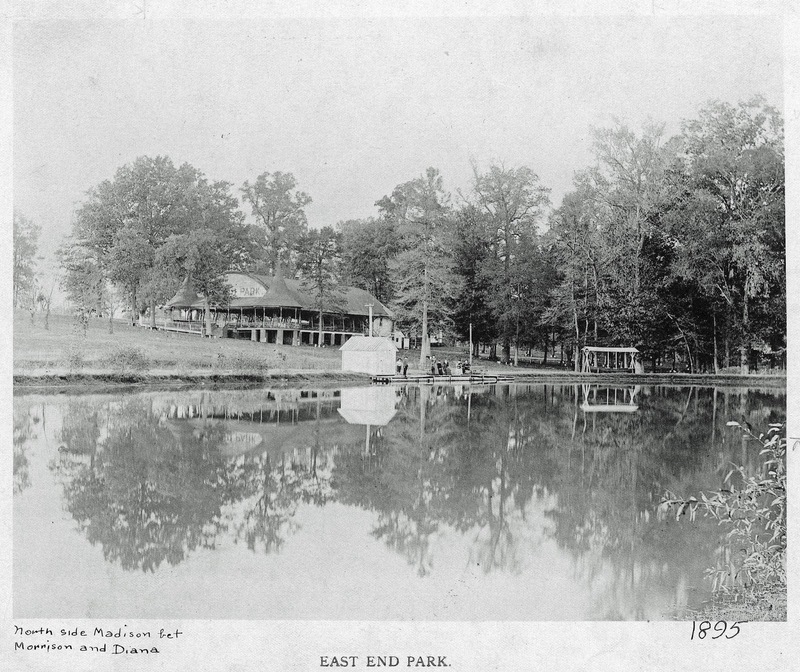 Let's take a trek back, over a hundred years ago, to this happy place called East End Park, and find out. Because long before there was the Prairie/Turner Dairy, there was East End Park. Long before 18-wheelers rumbled around the Blue Monkey from Madison on to Morrison, trolley cars cling-clanged past and made stops at this corner, just feet from Overton Square. Then & Now of Madison, 1912 to today. the Blue Monkey was in 1912 a new building housing a meat market and Walker’s Bakery. In light of proposed (and now halted) expansions to this historic piece of real estate, I have rushed this story into production, piecing it together from a variety of sources that I reference at the end* and. ** Therefore, this post is a work in progress - remember that! - as I was saving it for later on “down the road” on the Madison Ave project. But I believe an understanding of our past is critical - an understanding that shapes our present and our future. A photo of the pavilion and the lake at East End Park. "North side Madison bet Morrison and Diana" and "1895." Memphis Public Library, Frierson, S.
Meet Mr. Howard Chapman Boaz and his wife Lena. at Diana Street, just a block away from the park. 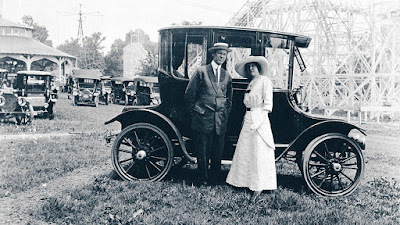 "Vance" of Memphis Magazine’s “Ask Vance” column called East End Park “our city’s first amusement park” that was touted as “the Coney Island of the Mid-South.” Developed before the turn of the century, it preceded Overton Park and the Zoo by a few years. It came before there were the Fair Grounds. It was generations ahead of Liberty Land. And it arrived at a time in the early 1890s when Memphis was enjoying historic growth, and in full recovery from deadly bouts with the yellow fever that wiped out scores of families rich and poor in the twenty-plus years that followed the Civil War. 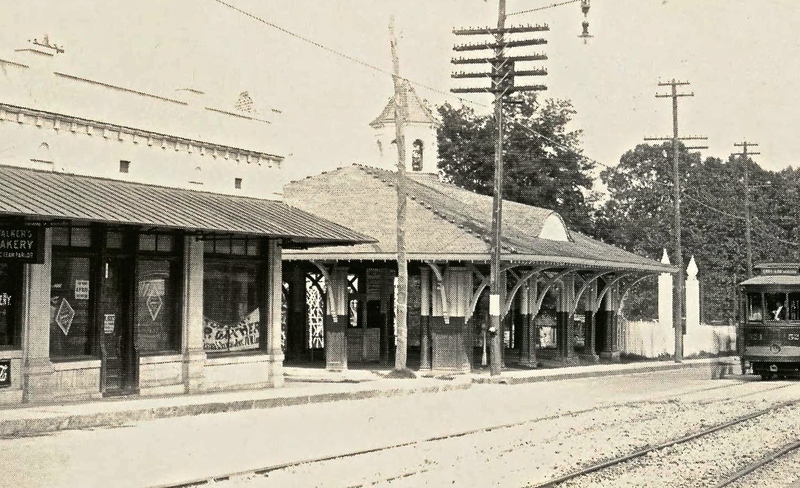 At the peak of its existence between the mid-1890s thru the 1910s, citizens from a quickly-growing Memphis area could walk, bike (yes, bike), or take the Dummy Line trolley - later many would drive their new motor-cars - to East End Park and enjoy a lake, a dance hall, arcade games, a beer garden, and yes, a roller coaster. A pine-wooded roller coaster, the coaster that would become Elvis’ favorite ride, the Zippin Pippin. 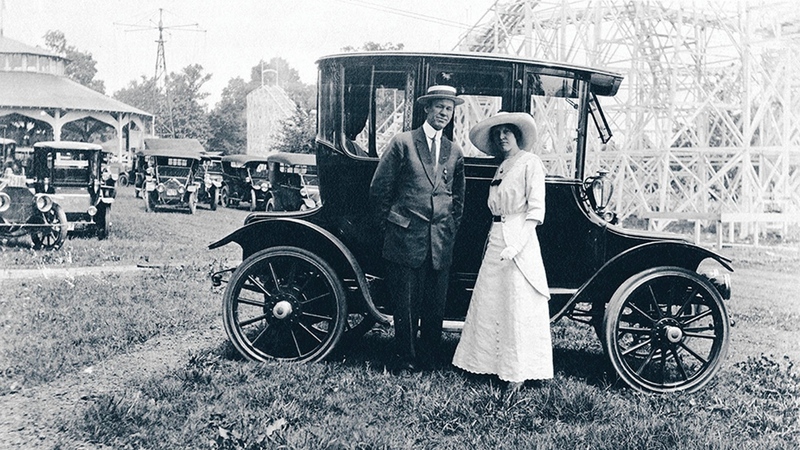 And for a short time park patrons could even enjoy vaudeville acts. Inset of the Williamson Map 1891 tells us the location of East End Park. bottom of the inset, was later renamed Morrison Ave. But for you purists, where exactly was it located? East End Park sat on 50 acres of land north of Madison Avenue, on the eastern end of the town of Idlewild before it was annexed by Memphis. 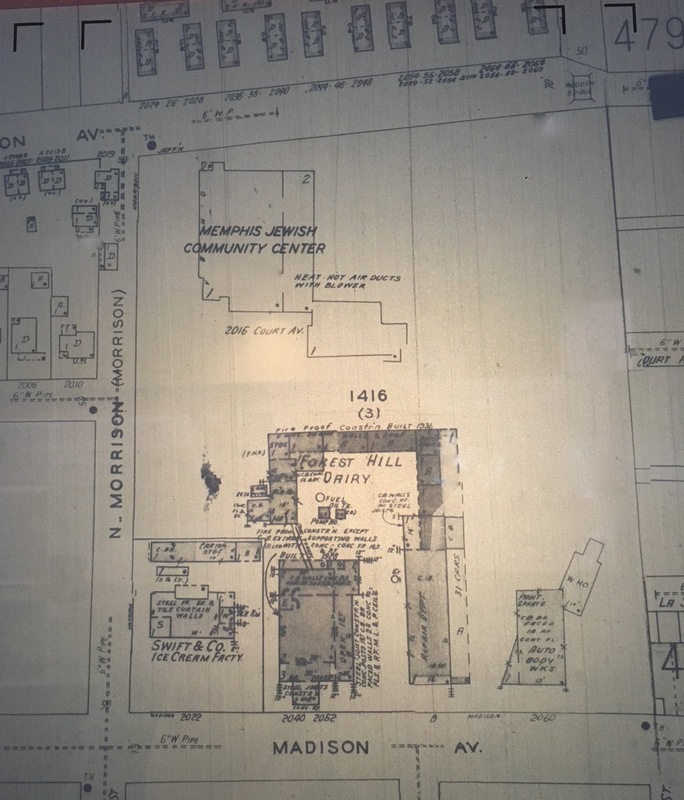 The street that is now Morrison ended at Madison at the park - the building that now houses the Blue Monkey would be built just adjacent to park grounds in 1912, at its western edge. Its eastern edge ran parallel to Lick Creek and right about along the fence that separates today’s dairy property with the Bayou Bar & Grill parking lot. 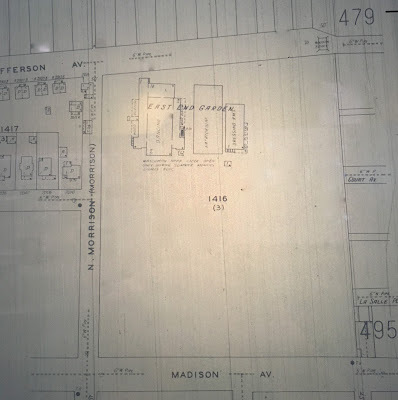 And its northern edge did not stop where Jefferson Manor Apartments are now - it was all the way up at Poplar Avenue, at the foot of what was still Lea’s Woods before that land became Overton Park. is up. Madison Ave runs along the bottom of the picture. Author Paul R. Coppock’s books - a treasure trove of Memphis history - describe the park area in the 1880s as a plot of farmland where hunters hunted and fisherman fished in the Lenox Bayou. As visitors increased a small dam was added to form a lake, picnic tables were added, and then in the later months of 1889 the amusements of East End Park were built by the East End Railway Company as a destination for riders of their trolley - the East End Dummy Line - which had been completed in 1887. 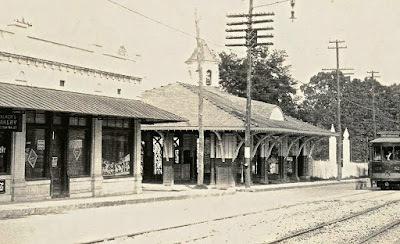 The Dummy Line ran along Madison Avenue and connected Downtown streetcars with the emerging towns of Madison Heights and Idlewild to the east (Memphis’ eastern city limit up until 1890 was at Dunlap, now the Medical District). 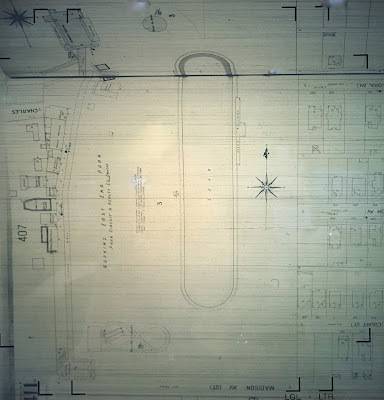 It made the familiar right turn to the south at the corner of Madison and Cooper, continued down Cooper, and made a left turn at Young Avenue where it took riders to the horse races at Montgomery Park, at the site of today’s Fair Grounds and Mid-South Coliseum. 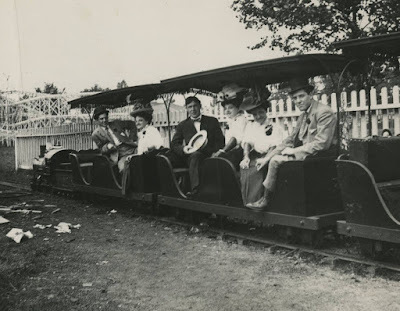 Mr. Coppock described rides on the Dummy Line trolleys as “prime entertainment.” There were parties on the cars, filled with the promise of alcohol once riders reached the beer garden of East End Park. There were also those revelers who stole rides on the trolleys, “big boys” who had to be thrown off by policemen and were sometimes arrested. Later a Ferris wheel and merry-go-around went up (complete with the sounds of a calliope but with immobile horses that did not move up and down). Vaudeville acts that performed at the Orpheum performed here during the summer. 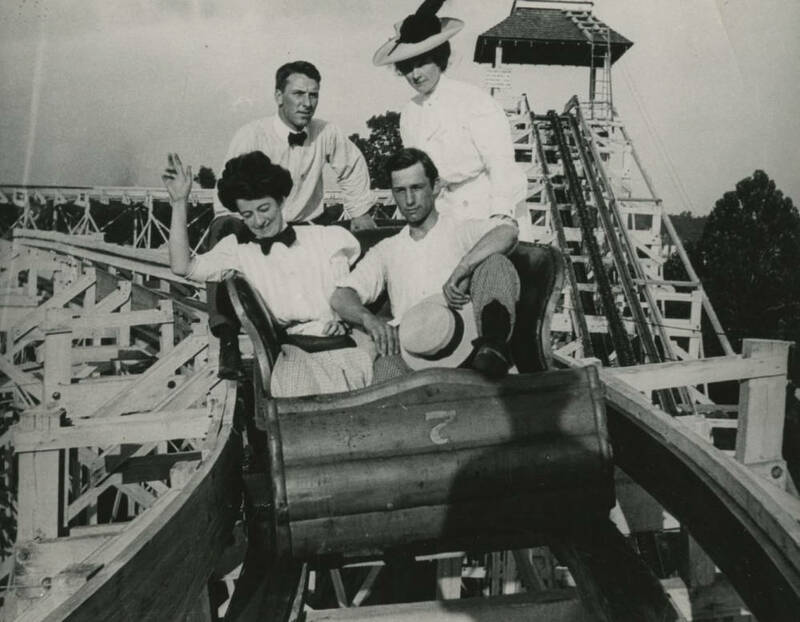 Finally, various sources indicate that the pine-wood roller coaster was built in either 1912, ’15 or ’17. However, a closer look at the photograph below tells us that in 1912 the wooden roller coaster had already been built. wooden supports for the East End Park roller coaster. To further the when-was-the-coaster-built controversy, a glance at the 1907 Sanborn map earlier in the article reminds us that there was some roller coaster in the park prior to 1912. In 1920 came this little thing called Prohibition, making liquor sales illegal, putting an end to the beer garden and taking the fun out of Vaudeville acts and the revelry out of the trolley revelers. Then, in 1923 a fire destroyed the park’s pavilion, and the park shut down. 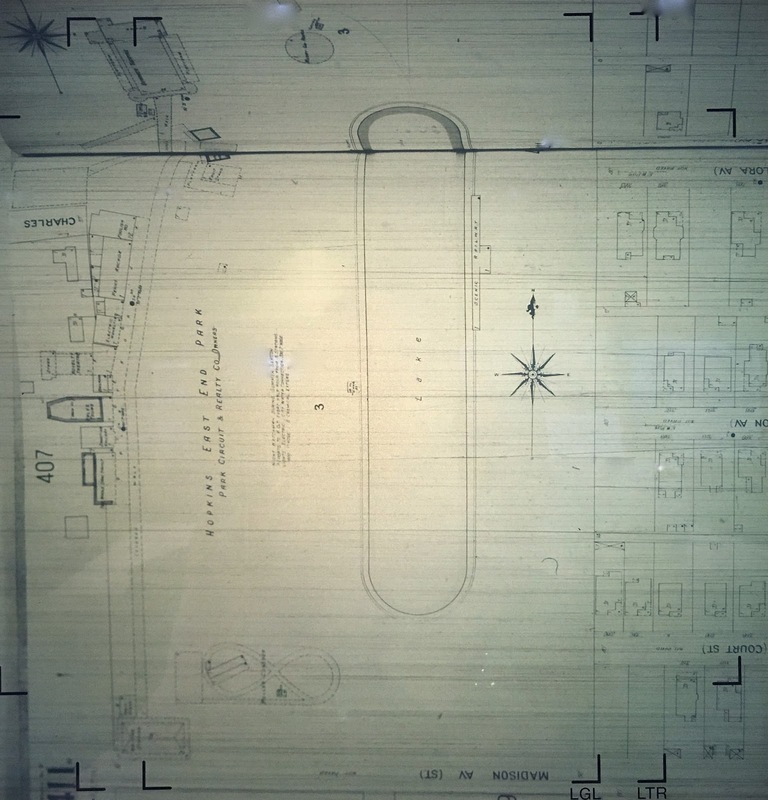 The pine wood roller coaster was dismantled, and was re-assembled a mile or so south at what is now the Fair Grounds, where it became simply the "Pippin." Years later, with the development of Liberty Land, the Pippin would be "Zippin!" 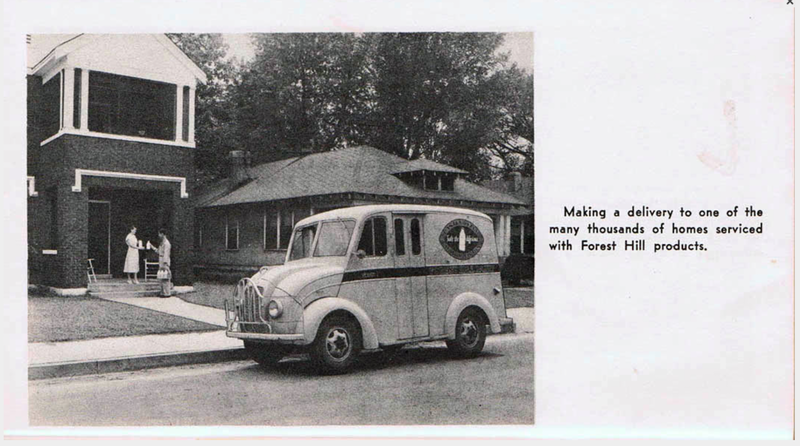 After 1923 the parkland to the north at Poplar was sold off and subdivided into what is now the Belleair Neighborhood. Jefferson Avenue was extended east through the parkland, and Stratton was renamed Morrison (after Anderson B. Morrison, who managed the old Majestic Theater on South Main, the Orpheum, and East End's Summer Theater) and the street was extended north through Madison. 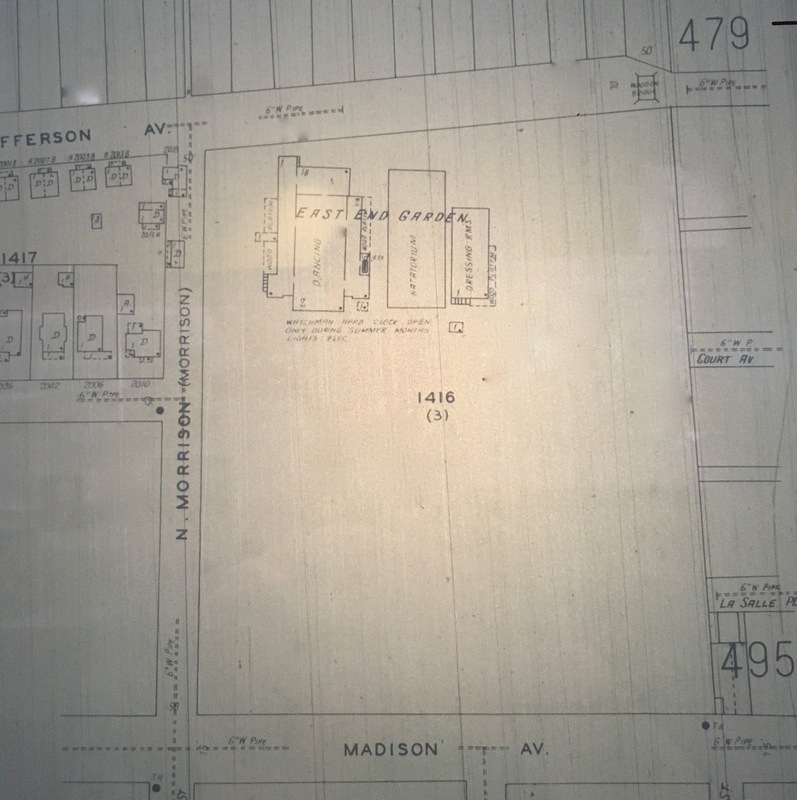 What remained of the park sat at that north end of the property at Jefferson; a new dairy occupied the property on Madison after 1927. Sanborn map, 1927. No more roller coaster, no more carousel. City directory listings for East End Park disappeared from 1924 to ’26, and again from 1932 to ’35, but East End Park didn’t die easily. From 1927 to ’31 there were listings for either an East End Park or an East End Gardens. 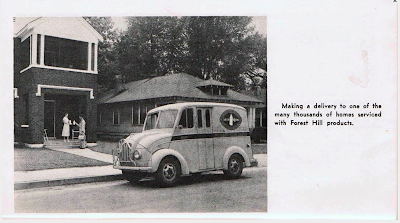 And in 1936 the East End Amusement Co. was formed and on the north part of the property this group built a dancehall at East End Gardens, and later the East End Skating Rink and East End Swimming Pool. This part of the park would last until around 1941 - the skating rink and swimming pool would drop off the directories after 1941 - but the dancehall would remain in use into the 1950s. 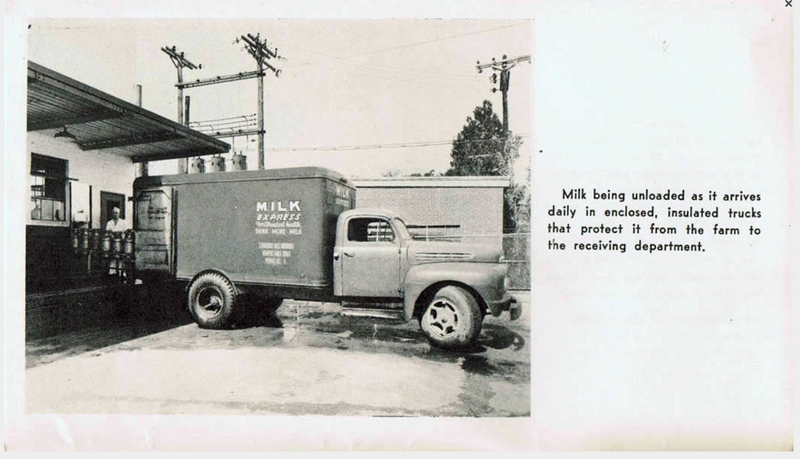 In 1927 and ’28 the Forest Hill Dairy was built. was taken by the author in July. The dairy served local customers, good ol’ fashioned milk men delivering milk in the early morning hours in small trucks and returning to the dairy to hand-write their orders for the next day. Pure Americana. a small auto body shop to the east. Between the late 50s and through 2011 dairy ownership would eventually buy out its neighbor’s properties to the east, west, and north, including the building that housed the old Jewish Community Center. That property would for a few years house the Backstreet Night Club. Today there is virtual no sign that there was once a place called East End Park. No pillars or pylons remain, and no markers yet exist. The sounds of revelers and the laughter of children have long ago died off. And the rumbles of a roller coaster now long-gone have been replaced with the rumbles of 18-wheelers at all hours of the night. But still the myth of East End Park lives on. *I pieced together this draft from a variety of sources: from a couple of websites, Commercial Appeal archives, the Memphis Public Library and their digital collection, “Ask Vance” articles in Memphis City Magazine, and from the invaluable Memphis and Mid-South books of Paul R. Coppock. Thank you for the clarification - I'll make an edit. This kind of in-depth information is hard to come by. And thanks for reading!